roads. The online application form will be hosted at www.electricMINI.co.uk from 01- 30 September 2009. Comprehensive details of the project are also available on this website. 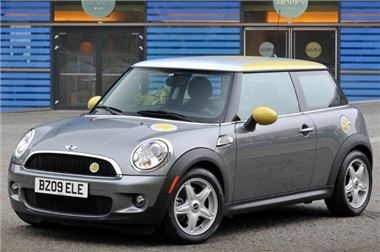 for a MINI E would normally be priced at £550 per month. still be less than £4.00. relevant area is available on the website. it is only appropriate for occasional use. selected MINI dealers within the MINI E research area. carbon vehicles from several manufacturers. research sample in South East England. data-logging units fitted to every MINI E.
the UK now on offer, a similar rush of interest is expected. electricity back into the national grid.